One thing you can count on, when it comes to being a home or business owner in The Hills, is that you are going to need a professional plumber to rely on for your service work. Ask around and anyone can tell you that the name to rely on is Moore & More Plumbing. Since 1986, our Austin Plumbers have been providing local residential and commercial clients in The Hills with exceptional plumbing services and results. We take great pride in the work that we do and in our ability to meet the needs of each customer we work with. We are a family owned and operated company and our focus is on treating you in the same manner that we would want to be treated. This is what makes the job about more than just quality workmanship, it is also about the level of quality customer care. We offer a wide variety of service work; from installation and inspections to repairs and replacements. You should never have to settle for inferior workmanship or results. All you have to do is call on our team of experts and feel confident that we will deliver 100% customer satisfaction. 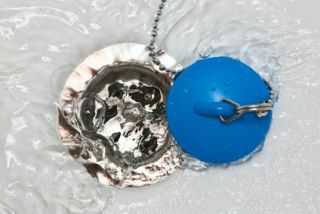 Leaks – There is no such thing as just a minor leak, partly because they all eventually can develop into a major leak. Plus, the lost water costs you money and can cause damage. The worst kind of leak is one that you cannot visually detect. If you notice a spike in your water bill, it is quite possible that you have a leak in the walls or the outdoor lines. Clogs – One of the biggest problems with clogs is that homeowners think that they can take care of it on their own. Using harsh chemical agents to try to clean your drains could actually cause damage to your plumbing. Plus, this is usually only a temporary solution to a bigger problem. While there are certainly other types of plumbing repair issues that can arise, you are likely to experience one or both of these, at some point. Being diligent about getting the quality plumbing service that you need can end up saving you a great deal of money. This prevents bigger issues from developing and ensures that you do not hemorrhage water and run up your monthly bills. 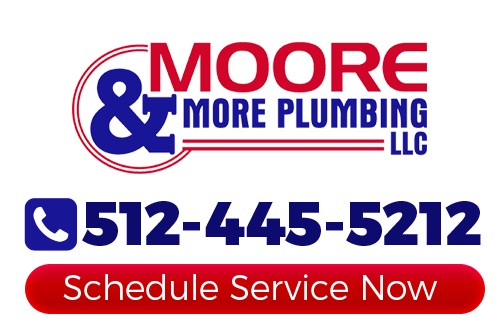 Call on Moore & More Plumbing to get the quality level of service that you want, need and should be able to expect. If you are looking for a professional The Hills plumber then please call 512-445-5212 or complete our online request form.